Animal Wildlife | Arctic Wolf | The Arctic wolf is found in the most northern parts of the wolf's range, in the Arctic Circle. 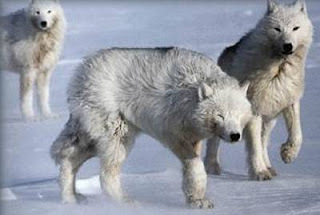 Arctic wolves mainly inhabit Northern Canada and Alaska, parts of Greenland and Iceland and Northern Europe. Arctic wolves are incredibly versatile and adaptive animals, able to withstand year round sub-zero temperatures. Living in the Arctic Circle, the Arctic wolf spends five out of twelve months in total darkness. 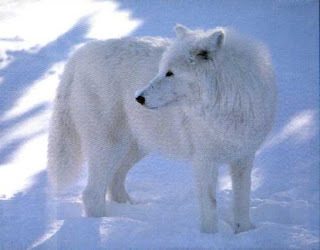 The Arctic wolf hunts lemmings, assorted rodents, and Arctic hare but will take larger prey like caribou when available. When the Arctic wolf wants to hunt musk ox, the pack will gather and work as a team attempt to isolate it from the herd and take it. An adult musk ox is simply too big for one Arctic wolf to try and take on alone. 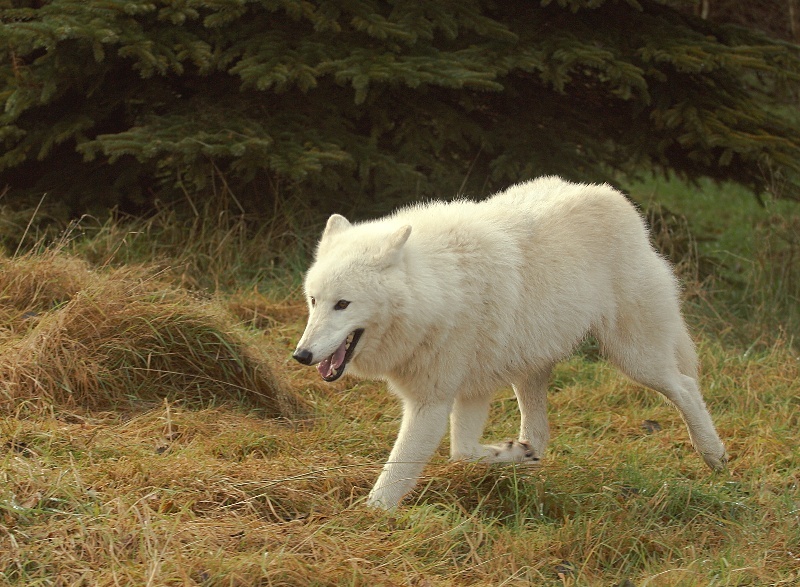 Although the Arctic wolf is generally smaller in size than the grey wolf, Arctic wolves tend to be bulkier than grey wolves with the male Arctic wolves also growing larger than the female Arctic wolves. Normally, only the alpha male Arctic wolf and female Arctic wolves breed, but if a pack gets too large it may break up into new smaller packs giving others the opportunity to mate. Due to the Arctic Circle's uncompromising permafrost soil and the difficulty it poses for digging dens, Arctic wolves often use rock outcroppings, caves or even shallow depressions as dens instead. Arctic wolf pups are born in litters of two or three in the months of May and June, meaning that the Arctic wolf pups are born about a month later than the grey wolf pups. 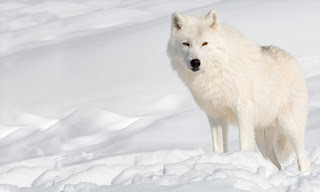 Arctic wolves tend to be white with brown irises, unlike most other subspecies of wolves with yellow to amber eyes. White fur gives them camouflage in a snowy environment, and the darker irises give added protection to the eyes in a high glare environment. 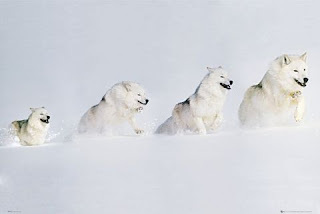 0 Response to "Arctic Wolf"